Entertainment venues in Guildford are not in short supply. 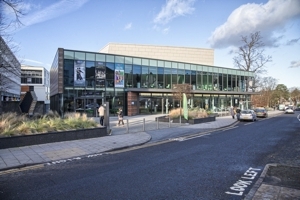 Being a large town with a university and a diverse population, the area offers everything from fringe theatre and tiny quiet bars through to large live-music venues, an annual international music festival, a nationally recognised theatre and five well-established art galleries, including the famous Watts Gallery located a short drive out of town. There are plenty of art galleries within Guildford and slightly further afield, giving locals and visitors alike the opportunity to enjoy the works of artists from the surrounding area, as well as purchase pieces for their own private collections. 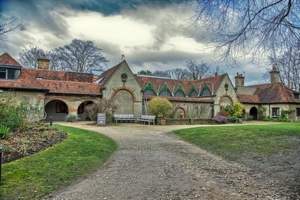 Galleries include a host of different artistic mediums, including: oil and water colour paintings, sculptures, glassworks, jewellery, pottery, and more. Guildford proudly supports the performing arts and is host to a series of theatres that offer live performances from locals in addition to well-known performers. Here we detail the theatres in and around Guildford, including the famous G Live, which host performances for up to 1,700 audience members. We also discuss the various options for locals looking to take acting classes or perform for just the fun of it. With a host of musical talent and success stories from the Guildford area, the town of Guildford has plenty of music venues for patrons to enjoy live music performances. 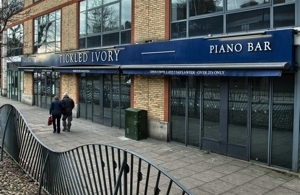 Pianists jazzing it up at a classy piano bar, local bands playing at one of the many Guildford pubs, and music clubs showcasing some of the top names in the music industry are just some of the live music events you will find in this county town of Surrey. Whilst there are no venues with the single purpose of live comedy, there are quite a few various venues that offer live stand-up comedy nights in Guildford on a regular basis. 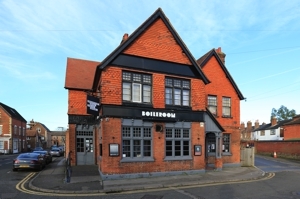 The venues include the G Live, the Electric Theatre, the Boileroom, and the Stoke Pub & Pizzeria – all of which support local acts, as well as better known comedians in the comedy industry.